The IT industry has been experiencing continuous churn during the last few years. Enhanced levels of regulatory compliance, e-commerce, mobility, agile technologies, software-as-a-service (SaaS), and cloud computing all constitute a major portion of an organization’s technology strategy today. They make testing mission-critical, highly complex and time-consuming. In order to keep pace with ongoing change, QA organizations are constantly innovating to find newer solutions, technologies and methodologies that can help them ensure higher application quality – at minimum business risk and with maximum business impact. Innovare helps clients across industry verticals build tomorrow’s QA enterprise by providing a combination of transformation models, offerings to address a changing technology landscape, a framework for package-testing-led business transformation, and new engagement models. 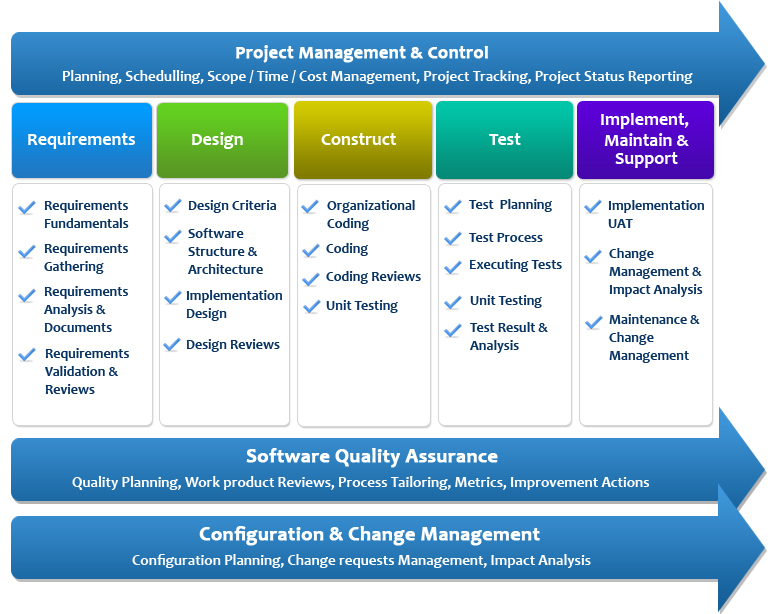 We follow a standardized approach (see process diagram below) for all our development engagements. However, each of the phases are further customized and discussed with you, based on your specific requirements and the agreed-upon engagement model. To ensure that we deliver the highest quality possible, we have implemented a separate QA department that acts independently from development. This department tests and reviews all solutions which have been developed by the development department and is responsible for all development and testing Process Monitoring. 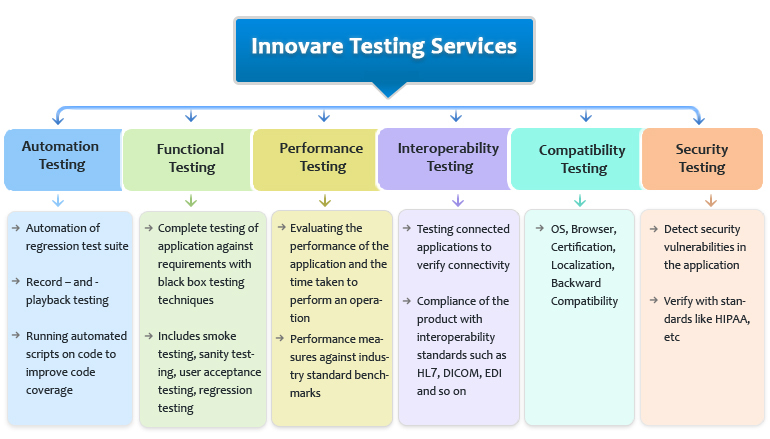 Innovare is dedicated to providing best in breed testing services that improve service levels, increase the efficiency of business processes, and improve time to market for new product and service offerings. 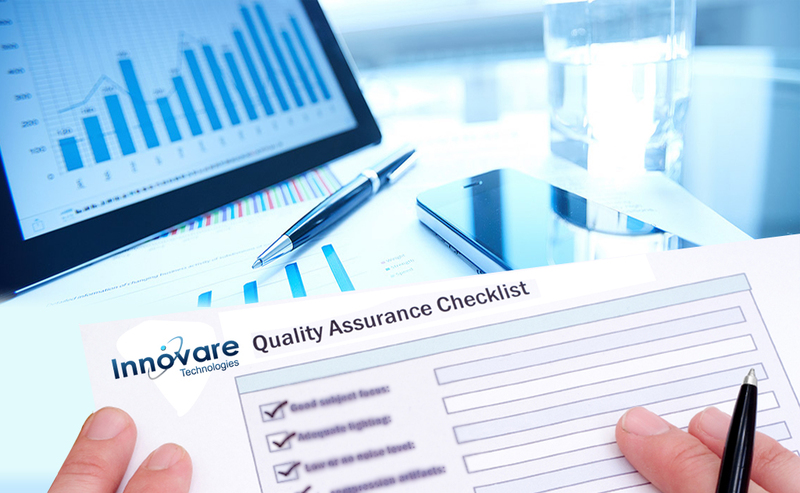 Why Choose Innovare’s Quality Assurance Services? We have experienced QA team Offering QA services and providing real world results (no emulators or software simulation). Every member of our team has more than 3 years of experience in mobile game testing iOS and Android platforms. Our QA team has experience of Agile testing and Scrum.